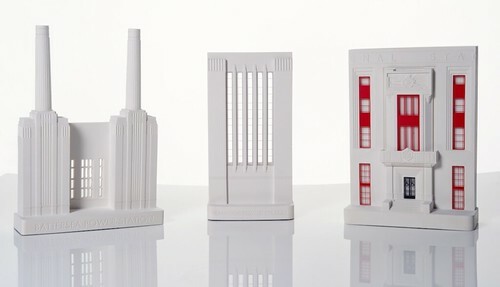 Fit Battersea Power Station into your living room with help from Chisel & Mouse! Chisel & Mouse, Sussex architectural model-makers, have launched phase one of their collection of handcrafted plaster models of iconic buildings, available to purchase at www.chiselandmouse.com. The models are approximately 25cm high and cost between £59 and £95; they are made of fine plaster and many are finished with etched brass detailing. Previous LLG Objects of Desire here. Not really my kind of thing…would rather spend my money on clothes/bags/shoes!! Thank you for posting about these – they are lovely. Are there any other types of London-related art you’ve seen/liked that you would suggest? As a former resident of London I’d love to incorporate some London-related art in my house. I’ll pass on the “Keep Calm and Carry On” posters that everyone has.